When, by Executive Decree, all the canine pets of Megasaki City are exiled to a vast garbage-dump called Trash island, 12-year-old Atari Kobayashi sets off alone in a miniature Junior-Turbo prop and flies across the river in search of his bodyguard-dog, Spots. There, with the assistance of a pack of newly found mongrel friends, he begins an epic journey that will decide the fate and future of the entire Prefecture. It’s almost like everything has been building towards this. It was surely only a matter time before Wes Anderson brought his artistry to Japan; the most Wes Anderson of cultures. A hybrid of old traditions, technological innovation and ‘kawaii’ meets the stylistic framing which is, at this point, so associated with Anderson it requires a whole new volume on auteur theory in the Cahiers du Cinema. Add dogs into the mix and you might just have – and I don’t want to overhype this – a new holy trinity. There must be some underlying scientific or mathematic equation that means that Wes Anderson combined with Japan and dogs can only equal pure unbridled joy. We are in Megasaki, a futuristic Tokyo. The lucky cat emblem manifests a loyalty within the Japanese – most notably Mayor Kobayashi and when snout fever breaks out across the canine population – he banishes all dogs to Trash Island. Cast aside by the rest of society, Chief (Bryan Cranston), Rex (Ed Norton), Boss (Bill Murray), Duke (Jeff Goldblum) and King (Bob Balaban) have formed a gang and, when the mayor’s nephew Atari (Koyu Rankin) comes looking for his dog Spots, they agree to help him. At the heart of the film are the dogs and their relationships with humans and each other. In a world in which cats have been pitted against them, mainly through a human desire to prefer one over another, a class system has developed, not just between cats and dogs but between strays and owned pets. As ever, the dialogue is wonderfully whimsical and accompanied by another perfect Andre Desplat soundtrack (with special mention to The West Coast Pop Experimental Band’s “I Won’t Hurt You”). 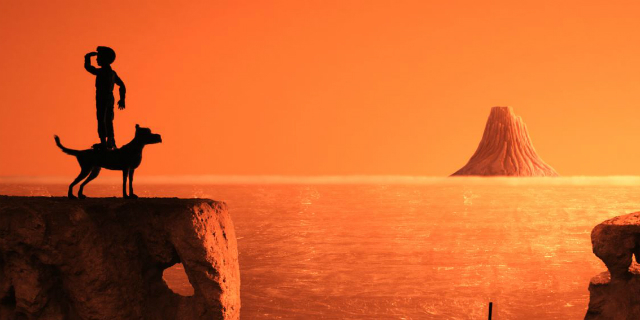 The last time Anderson employed stop-motion was in 2009’s adaptation of Roald Dahl’s Fantastic Mr Fox and despite its success, Isle of Dogs is a stronger showcase of his trademark style. Interweaved with the stop motion are frequent illustration techniques, including the reinvention of famous Japanese artwork with the addition of cats and dogs. The quality of Anderson’s ode to Japan is in the detail and he is revelling in the opportunity. It’s evident in the little things; the sumo umpire (Gyogi) turning his paddle sideways before the Rikishi mastodons meet in the middle; the symmetry and beautiful framing of a sushi preparation sequence, and the robotic dogs – not quite as intimidating as the futuristic visions coming out of a Boston Dynamics lab or Black Mirror’s ‘Metal Head’- but mean-spirited nonetheless. There’s also frequent humour found in the translation of Japanese subtitles to English (sometimes assisted via Frances McDormand’s onscreen interpretor). The troops have all returned for their bi-annual reunion. Norton, the two Murrays (Bill and F. Abraham), McDormand, Goldblum, Balaban and Swinton pick up a few new stragglers (Gerwig, Cranston and Johanssen) who fit nicely into their travelling band. And then there’s Yoko Ono, playing Assistant Scientist Yoko Ono-san, with a well-timed cameo. 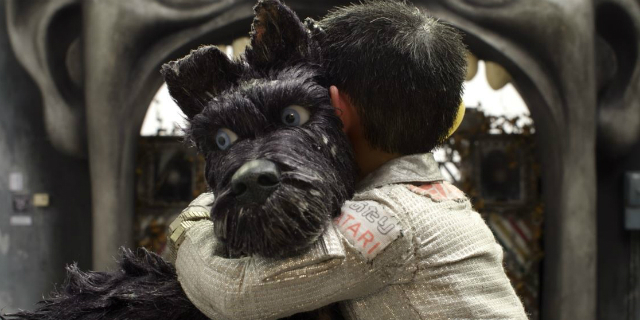 Isle of Dogs is a film full of wonder. Yet another peak on a perfectly-formed Wes Anderson mountain range. The Fuji perhaps.